In yesterday’s weekly meet with reporters, Steny Hoyer rather succinctly explained why Democrats scoff at the claim that they need to come out with entitlement cuts. The Republicans would prefer not to propose this. They like them floating in the air and taking some credit for them, but they don’t want to propose them because they don’t want to take responsibility for them. Let them take responsibility. If that is their proposal, put it on the table, and we will discuss it. When he rants, Charles Pierce must not be missed. His ire today is directed at the new and largely pointless Politico “insider” column. Clearly, a deal on the economy is being cut with the minimal amount of input from the people on whom the weight of the deal will fall most heavily. Sacrifice is being parceled out by people who will feel none of it. And elite journalism is presenting this iniquitous arrangement from the point of view of the grifters and thieves who will profit most from it. This piece is not about the current economic stalemate. It’s about two Beltway foofs showing the red on their asses by demonstrating that they can get important people on the phone. Molly Ball tells the long and complicated – and victorious – history of the 2012 gay marriage campaigns. In the final tally across all four states, the pro-gay-marriage campaigns spent nearly $42 million versus about $11 million on Schubert’s side. To Schubert, the lopsided finances showed that his losses had more to do with money than public sentiment. But to gay-marriage backers, they were proof of the draining enthusiasm for banning gay marriage. 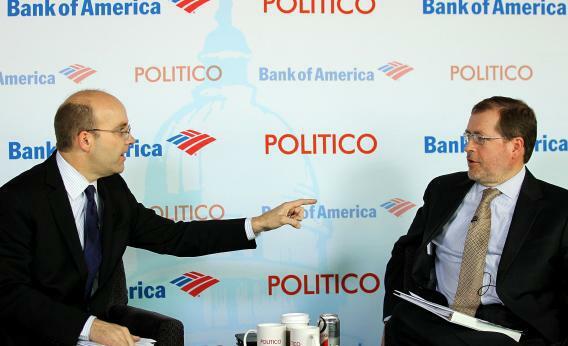 Robert Costa answers one of the great parlor chatter questions in DC: Hey, what happened to that Paul Ryan guy? As a former congressional staffer, Ryan has reportedly enjoyed getting back into the game on Capitol Hill. Most notably, he worked with Boehner to craft the Republicans’ latest bargaining position, which was outlined in a letter last week. Ryan’s signature on the letter sent his most public message yet that he and Boehner are teammates in the debt negotiations. Ryan may be saying little to cable anchors, but he’s by no means on the outside looking in.